No friends, this isn't Disneyland! 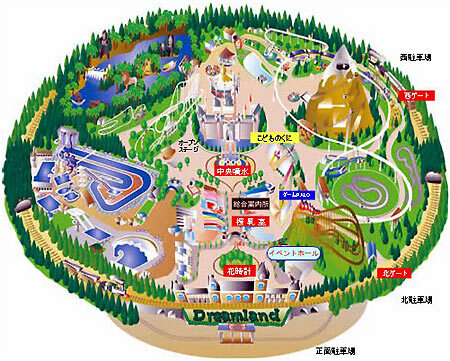 It's the original imitation Disneyland, built by non-Disney folks in Japan. 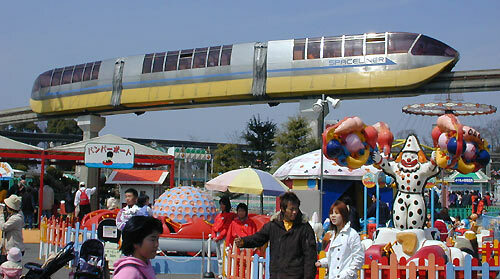 It's called Nara Dreamland and it opened in 1961. 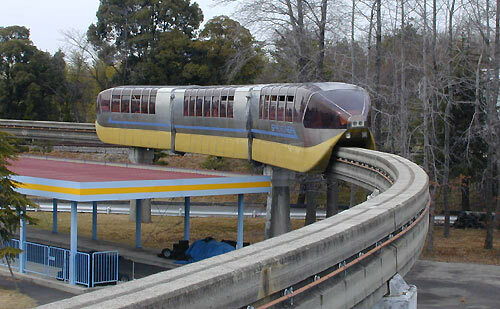 What would an imitation Disneyland be without a monorail? Tokyo Shibaura Electric built the figure 8-shaped loop line you see on this page. The following photographs were shot by TMS member Kevin Barbee. Spaceliner! 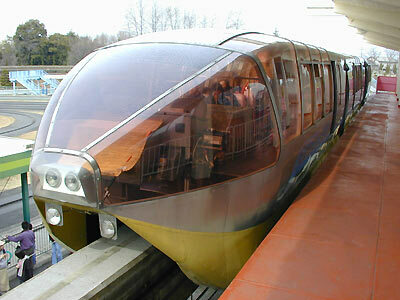 This is a second generation train making a trip around Dreamland. 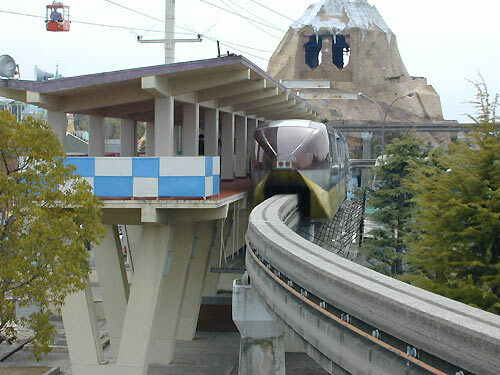 The Spaceliner station is near the skyride and mountain bobsled ride. 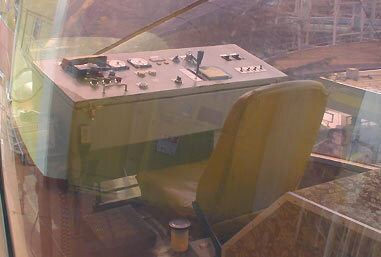 It's kind of a boxy looking control panel for such a sleek train, isn't it? 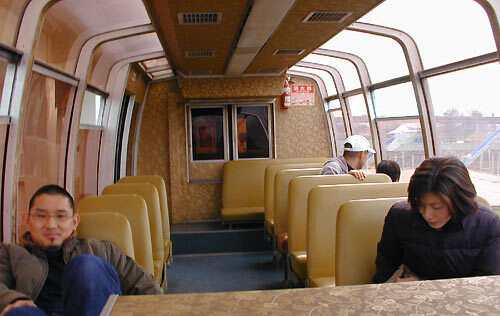 It's not a walk-through train, but in a pinch you can slide those doors open and crawl through. Thanks for the great pictures Kevin! Update: Nara Dreamland closed permanently in August of 2006.